Hybrid bikes are designed to be practical. They are sturdy enough to handle rough terrain but ride smooth enough that they can be used in the city. In this article beginners guide to hybrid bikes, you will learn all you need to know about choosing the best one. 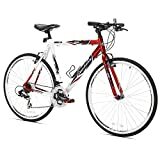 You will also read hybrid bike reviews that discuss some of the best hybrid bikes, as well as some from earlier years. A hybrid bike is called a hybrid because it borrows attributes of road bikes and mountain bikes. It is considered to be a cross between the two, which explains the name. It is also sometimes referred to as a city bike. The best hybrid bikes are designed for both comfort and speed. They can be designed especially for speed, handle rough terrain, or for riding in the city. You will find that the components chosen for each bike are determined by the manufacturer’s intention for its use. continue reading our beginners guide to hybrid bikes to find out more. Since its first archetype was conceived in 1817, the bicycle has undergone multiple modifications and improvements. Eventually, humanity arrived at the typical road bicycle design that we see today, and it was highly prevalent from the early 20th century. But in the 1970s, the popularity of this standard bicycle declined in Britain with the rise in recreational cycling, leading companies to focus on making more lightweight bicycles for simpler uses. The need for a lighter but fast and sturdy bicycle for daily commute and recreation led manufacturers to begin to combine design elements of preexisting bicycles in order to create the perfect hybrid. Mostly, they took the best out of racing and mountain bikes and melded them together to make modified bicycles for everyday use that provided versatility and comfort. Thus, the hybrid bike was born. What Makes a Hybrid Bike Different? Hybrid bikes are different from mountain bikes and road bikes because they borrow components from each type of bicycle. Unlike other classifications of bicycles, hybrids do not have a standard fit that they follow. You can find hybrids designed for rough terrain, riding across the pavement or city-riding. Another key difference is the purpose of the bike. Mountain bikes are designed to handle rough terrain while providing comfort, while road bikes are designed especially for pavement and giving the rider speed. Hybrid bikes, on the other hand, are designed for comfort and speed as you go on long trips. The best beginner hybrid bike will be designed for comfort- provided it fits your body well. To find a good fit, you need to know what each side of the bike means, as well as how tall you are. Beginner hybrid bicycles usually come in extra small, small, medium, large, and extra-large sizes. When you sit on your bicycle, you should have at least 1-2 inches between the top of the inner part of your leg and the highest tube on the frame of the bike. Additionally, you should only need to slightly bend your leg if you are standing with your foot on the pedal in the position closest to the ground. If the prior section did not tell you what you need to know when it comes to bike sizing, here is a handy table that will tell you the size of bike you most likely need for your bike. Remember, though, people with longer or shorter inseams than average may need to go up or down a size for the perfect fit. The “breaking in” period of a new hybrid bicycle is very similar to the breaking in period of other bicycles. Basically, you will need about thirty days to break in the bike. This can vary based on usage, but this is a good time frame to take your bike in for its first tune-up. At the end of the breaking in period, your bike should shift and brake a lot smoother than it did originally. However, there may not be a noticeable difference if the bike was assembled by a bike shop, properly tightened and adjusted, and lubed. In the next section, you will find several hybrid reviews that represent some of the best hybrid bikes in their category. Continue reading our beginners guide to hybrid bikes to find out all about them. Even though the Wayfare Hybrid Bike is marketed as one for men, it can also be ridden by women. It comes in a gender-neutral color with several great features. The steel frame is high-quality, resistant to rust, and comes with a lifetime warranty. Additionally, the forgiveness of steel allows for a very smooth ride. Another great feature is the hardware of the bike. The brakes and shifters both offer great response times. They operate very smoothly, which is something you would expect from a bike that is higher quality. The seat is also a notable advantage, as the hybrid bicycle comes with a spring-loaded seat that is a lot more comfortable than the seat that comes with other bikes. One thing to keep in mind before purchasing this hybrid bike under $300 is that it only has 7 gears. While this may be okay for some types of riding, other types may require a higher selection of gears. The different components, such as the derailleurs and shifter are of slightly lower quality, but they also work great. Overall, this is a great bike for the price. One of the best things about this bike is the shifters. The high-quality shifters allow you to switch seamlessly between all 21 gears this bike has to offer. This also makes it great for riding in a wide variety of environments, from rough terrain to city streets. The tires that come included with this bike are also a great feature. They are thicker than those found on road bikes, which allows them to handle potholes, debris-littered streets, and even rocky trails with ease. The front wheel also comes with a quick-release lever that allows you to easily store the bike for travel. Now, for the downsides to this bike. One of the biggest complaints is the noise of the brakes, though after breaking the bike in and a proper lubing this should not be much of an issue. The brakes do respond very quickly, however. You may also need a seat for this bike, as the one that is included does not have much padding. The final thing to note is that the instructions that come with the assembly of the hybrid bike are not clear. This means that you should probably have it assembled at your local bike shop unless you have previous experience with bike assembly. The first notable feature of this bike is the frame. It is aluminum, making it very lightweight. It is made durable by the alloy fork and butting where necessary. The tires are also great. The tires are also great. They are wider, to allow the bike to handle rough terrain. However, they are also light enough that you can easily zoom across the pavement. The quality of the components, including the derailleur, shifter, crankset, and other components are also incredible. The majority of these parts are made by the Shimano company, who is well known for their great bicycle parts. They offer great response and work very well together. Additionally, the bike is very easy to assemble. There are two things to note before buying this bike. First, it does not come with a kickstand. This means that if you do not want to lean it against things, you will need to invest in one. You may also want to invest in a seat, as the one that comes with the bike is uncomfortable for long rides. The great thing about this bike is that it offers the convenience of being foldable, without sacrificing reliability. It folds easily and features easy release wheels so that it can be stored anywhere. When you do unfold it, its full size is comfortable and functional. The shifter and derailleur shift easily so that it can easily handle hills. The tires are also durable, meaning that it can handle potholes, pebbly or rocky paths, and debris-filled streets. Finally, the performance gel seat is very comfortable. It is much higher quality than comes included with other bikes in the same price range. While the main parts of the bike are great, a few of the extra features could use some work. First, while the easy-release fenders are an innovative idea, they do not protect from splashing very well. Additionally, the Clik Wheel Release system is not attached as securely as it could be. This hybrid bicycle provides a very smooth ride, whether you have to handle rough terrain or are commuting across pavements. The frame is made of Chromoly, which is noted for its low weight and durability. This makes it very speed, but also very strong. It has a more comfortable ride than aluminum. Another notable advantage of choosing this bike is the tires, which are puncture-resistant. This means that if the roads in your town are full of potholes or debris, you will still be able to ride smoothly. Additionally, there is a switch-lever bell integrated into the handlebar. Finally, this hybrid bike under $1,000 offers great gears and brakes. Much of the hardware is Shimano, which means quality parts. They transition very smoothly and have a very quick response time. There are two things to take into consideration before purchasing this bike. First, the aluminum fenders do not work as well as you would expect to protect from splashing. The second thing to consider is the assembly of the wheels. If you do get a flat, it can be very difficult to change the tire without special equipment. Hybrid bicycles are a great option for those looking for versatility in their rides. They are named as such due to the fact that they are, essentially, a mash-up between road bikes and mountain bikes and provide the best of both worlds. In order to properly choose a hybrid bike, however, you have to know what you are looking for. So, we have put together a simple beginner’s guide to help get you started. Over the years, many different types of hybrid bikes have been made, resulting in quite a few versions that are optimized for different situations. Here are the five kinds of hybrid bikes. Trekking bikes are essentially the most common kind of hybrid bike, to the point where the two terms are often used interchangeably. They are essentially hybrid bikes that come equipped with accessories for bicycle touring. These bicycles are usually fitted with wheels of the same diameter as racing bicycles – 700c – but with tires and rims that are wider. They also often come with similar gear systems to mountain bikes, and many have cantilever or linear pull brakes. This bike is designed with a lightweight frame made from aluminum, coupled with 700c wheels fitted with slick tires in order to allow easy obstacle clearing but steady energy maintenance on straight roads. In addition, a Suntour suspension fork allows for you to be well-equipped for off-road and dirt path adventures. The bike also comes fitted with Shimano drivetrain components, slowing you shift gears easily during climbing, regardless of steepness. There are 24 speeds of climbing available, and while you go up hills, the alloy rise bars and stem will ensure that you stay upright and don’t stress your back or joints. Cross bikes are interesting, as they have a frame very similar to that of a racing or touring bicycle but with flat handlebars for a more upright position. They are not to be confused with cyclo-cross bikes, which are for a specific form of racing. Generally, cross bicycles are meant for recreational uses, or utility uses as most. This type of bike is usually fitted with wider tires than you’d find in racing or sports bicycles, with those tires being semi-treaded and fitted onto 700c wheels. The wider tire is meant for dealing with rougher trails, so it can tackle both paved and unpaved roads easily, and they are usually faster too. This makes the bike great for off-pavement activities. This bicycle was designed with the idea of having the comfort of a relaxed commuting bike while providing all the functionality of a more serious road bicycle. It is made from an alloy that is both light and durable and makes it easy to maneuver. Accompanied by a shock-absorbent RST suspension fork which is front locking, it is extremely reliable. On top of that, the bike comes equipped with Shimano Alivio components that allow it to reach 24 different speeds and change gears quickly. The XDS Men’s Cross 300 is also equipped with Kenda tires on 700c wheels that have enough tread to prevent slipping while still maintaining a smooth ride. As the name suggests commuter bikes are designed for commuting on steady roads. They can be used for a variety of distances and need to be durable. Usually, they have the typical 700c wheels with light tires, and they often make use of derailleur gearing. A good bike of this variety should have lights for the user’s safety. In order to facilitate easier commute, many of these bikes have ways by which to carry luggage, baskets, or bags; these can come in the form of carrier racks, mounting points, or full fenders. The Vilano Tuono bike is an interesting one, as it’s not entirely made for commuting alone, although that is its main function. It can also handle a good amount of fitness riding. It is meant to be fast but reliable, with a compact frame that provides comfort. The bike is fashioned from a 6061 aluminum frame that comes equipped with aero tubing and double wall alloy rims. This frame has an integrated headset and a straight blade fork, alongside alloy linear pull cantilever V-brakes. The wheels are 700c, connected to Shimano components for 21 different speeds and easy gear shifts at a quick pace. Comfort bikes are often classed differently than hybrid bikes, but the fact is that comfort bicycles are within the same category. But part of the reason for this mix-up is because they are extremely simple and barely have any accessories. They are modern takes on old roadster bicycles with modified mountain bike frames and derailleur gears and are meant to provide you with an upright riding position thanks to a tall head tube. Most comfort bikes have wheels measuring either 26” or 28”, with 1.75” or 1.95” tires respectively. These tires are somewhere between lightweight and heavy and are usually smooth, or at the very least, semi-slick. This bicycle is designed to allow for everyday use and versatile situations without putting a strain on the back. It attempts to combine a road bike’s speed, a mountain bike’s strength, and a cruiser’s comfort and is great for those who use their bicycles daily or as a main mode of transportation. 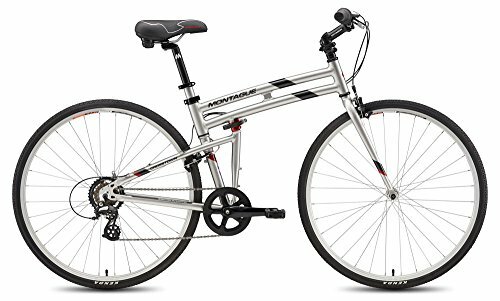 An aluminum frame, equipped with a suspension fork for added comfort, is supported by lightweight but durable alloy rims on this bike. A quick front release and reliable alloy linear pull brakes make this a safe and trustworthy ride. On top of that, the suspension seat is padded, and the handlebars are angled to be swept back so you’ll always be upright while riding. The Schwinn Men’s Network 3.0 is set on 700c wheels that run on Shimano 21 speed rear derailleur gears, equipped with EZ fire shifters. This allows for easy and steady gear shifts. 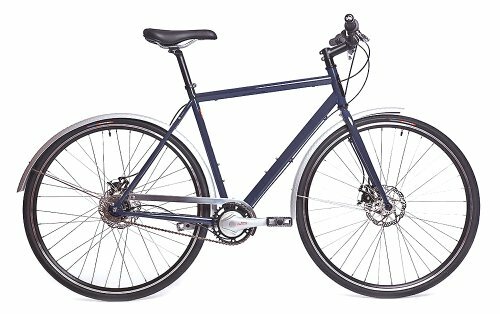 A city bike is a lot like a commuter bike as it’s meant for urban, daily commute purposes more than off-road adventures. It has a lightweight frame that is strong and durable and takes after the mountain bike in terms of gearing and design. Usually, it has 26” wheels and its tires are neither heavy nor light, ranging between 1.5” and 1.95” in diameter. These tires are often heavy-belted in order to deal with the hustle and bustle of city life. Most city bikes allow for an upright seating position and are meant to be solid and predictable to handle, but can also move quickly. They are equipped to ride over broken glass and potholes and can easily pass curbs on the road. The Critical Cycles Beaumont-7 is a city bike that also borrows some features from a commuter bike. It puts safety first with front and rear alloy brakes and adds on a vintage-style bell to add charm and for alerting others that you are on the road. The bike stands at a lower standover height to allow you to easily get on and off. It is also fitted with a rear rack for storing items. The bike’s frame is hand-built from a lightweight step-thru steel and is designed for an upright riding position. It is equipped with a Shimano 7-speed rear derailleur drivetrain and RevoShift grip twist shifters in order to give you more balance and control over your journey, and the wheels are 700c and grip the ground securely, even on uneven or slippery roads, or when going over potholes. When purchasing a bicycle such as this, it is important to know what features to examine and cross-reference, and how to pick a bike with the right features for you. Here are some to look out for. Hybrid bikes come in one of two frames. The most common is the aluminum frame, which is highly lightweight and durable, and it’s resistant to rust. The other form is carbon-fiber, which is lighter than aluminum and of a very high strength and resistance, but is much more expensive. You can also opt for a mix of the two. Wider wheels mean better balance. Smaller wheels mean a smoother ride. Hybrids are usually somewhere between the two extremes, but it’s worth noting that there is still some variation in sizes between different models of bikes. In addition, the tires should be wide enough to help you navigate rough terrain, but not too wide that they hinder mobility. Tire tread is important too – they should have enough traction for wet weather without sacrificing smoothness. Many hybrid bikes feature a suspension fork that compresses in order to absorb impact and prevent stress on the joints and back. Some have suspension seat posts, too, and they are great for maximum comfort, or if you have back issues. Modern hybrid bikes have reached new heights with the technology in their gearing, meaning there are many models that allow shifting with the push of a button and also display the gear you are in. Derailleur drivetrains are great for low gearing for climbing, but hub drivetrains are much easier to maintain and can shift without pedaling. A wide variety of hybrid bicycles have linear-pull brakes, meaning they have great stopping power. However, you can also opt for a model with disc brakes, which are great for control in wet weather and down steep hills. There is also the choice of hub brakes, which are designed to be low-maintenance and last longer. We recommend test riding each kind to see which you like best! What sort of riding is hybrids best for? Hybrid bikes are made for casual, everyday riding through the city. They can travel a variety of distances but are not really meant for long, grueling journeys or high-intensity workouts and off-road adventures. What’s the benefit of a hybrid? The riding position is incredibly comfortable, and the tires are big enough for balance but small enough for maneuverability, making it great for the everyday commute. A hybrid basically has the best features of every other type of bike, so there’s little to dislike. 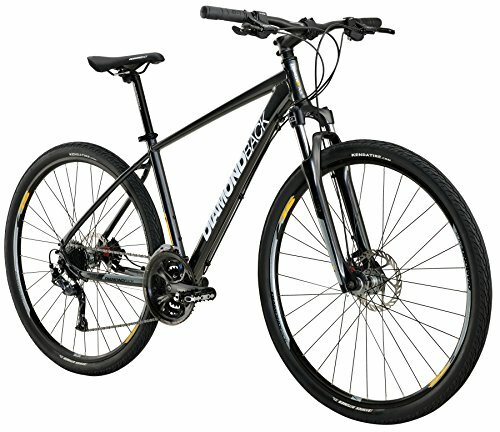 Is a hybrid a good replacement for a road or mountain bike? If you are aiming to use a bike for extremely rough, rocky hills or super fast races, then no. A hybrid is designed for daily use and is typically aimed at city living with the occasional recreational adventure. 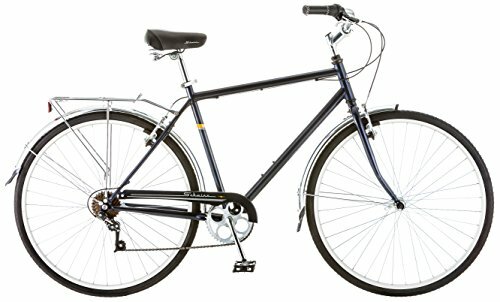 What accessories should I get for a hybrid bike? There are no needed accessories. A recommendation would be a helmet, lights, and other forms of protection, but this applies to all bikes. A bicycle is a long-term investment, so naturally, you’d want it to be able to withstand years upon years of use. But in order for that to happen, you need to properly maintain the bike. Here are some maintenance tips for hybrid bicycles. This is arguably the most important part of the bicycle. Keep in mind that hybrid tires are different from the tires of other bikes, so you need to find the right pressure for both the bike and you; the heavier you are, the more pressure is needed. It has to be filled enough to prevent flats and allow for a smooth ride. Most air pressure requirements for hybrid bikes are between 60 and 80 PSI. You can use a bike tire gauge to be completely certain that you are at the right inflation. Avoid flat tires by looking at the road and choosing the right path. Although most hybrids can handle uneven roads, try to stay clear of places with a lot of debris or sharp shards of glass or metal. Your tires might withstand them at first, but daily wear and tear will eventually get to them. Make sure to check your tires after each ride. And of course, remember to bike regularly – this helps keep tire pressure healthy! Most hybrid bicycles make use of linear or hub brakes thanks to their power. But all bikes require that their brake pads are in contact with the rims, and they should be easy to release. Brake issues may also be a result of cable issues, so lubricate and tighten the cable as necessary. A rusty cable always needs replacing. The same goes for cables with broken housing. It will be quite obvious if something is wrong with your brakes as you might hear sounds from the brake area or simply find them to be working too roughly. If foreign objects get stuck in them, use tweezers to remove them. Lastly, be aware that your brake pads should be at an equal distance away from the rims. If they are not, fix the balance with the spring adjusters on your bike. Hybrid bikes usually have lightweight frames that are meant to help you pedal easily and comfortably. This goes without saying, but be careful while riding in order to avoid accidents. If dents begin to form in a steel frame, they will need to be filled with brazing material by a frame builder. If your bike has a carbon fiber frame, then you’ll have to have a professional look it over if you spot a crack. If you sweat a lot while riding, make sure to check for signs of corrosion more regularly. Sweat can cause salt to form over the frame, and this is not something you want. Wash your bike gently and thoroughly with water if this happens, and dry completely after. You can also opt to wax the frame regularly to ward off the rust. Most hybrid bikes come with suspension forks that absorb impact for less stress on the joints, allowing for better control. It’s a crucial part of a bike and needs to be kept in good shape. Make sure to read the manual provided by the manufacturer of your particular fork’s model and follow the maintenance instructions. Before every ride, check your fork for signs of oil weeping. You should also check the air pressure and make sure the fork is clean, and do this after each ride as well. For every 10 hours of riding, you should make sure the rear suspension pivots and torque are tight. At 50-100 hours, be on the lookout for leaks and replace seals if you spot one, changing the oil too. If you notice deterioration at 100-200 hours, it’s time to do a full rebuild and replace the pivots. Let’s talk gears first. You need to first learn how to shift gears in a smooth and attentive manner while riding. After that, you also have to know how to keep the gears clean and well lubricated. All bikes need oiling every now and then, so go for lightweight oil designed for bikes and apply a small amount; too much will attract dirt. Don’t forget to lubricate and tighten those gear cables, too, and remove contamination from them if any. If your gears don’t shift well, you may have to change the cable. On top of all that, a well-maintained chain will let your bike last longer. Chains need a regular clean, and bike chain cleaning kits are available for purchase in many stores. Just make sure to get one made for bikes. Essentially, you should care for the chain of your bike the same way you would maintain its gears. It wouldn’t hurt to add lubricant to the other moving parts of your bike sometimes, too! You might still be wondering: do you really want a hybrid bike? Or are you in need of a more specific kind of bicycle that caters to a very particular riding style? Here are some comparisons to consider based on your needs and usage. We only bring up areas where the two bikes are significantly different! Hybrid bikes are typically heavier than road bikes due to the fact that the former has more components. This means that hybrid bikes can make a ride sturdier and more balanced, while road bikes are meant to be fast and have nothing extra holding them down. Hybrid bikes have thicker wheels than toad bikes, allowing them to travel over uneven ground and go off-path. Meanwhile, road bikes maintain a very thin profile for extra speed and less drag. Road bikes are also usually made of more high-tech, expensive alloys, allowing them to be lighter than hybrid bikes. Hybrid bikes usually have flat handlebars in most cases, finished off with ergonomic grips for comfort and balance. Usually, this means your arms will be out at a 90-degree angle, which can get tiring. On the other hand, road bikes have dropped handlebars that allow for forwarding leaning and can accommodate lots of gripping positions. Hybrid bikes tend to have padded saddles that are wider, so your weight will be supported well for comfort’s sake. This also means that those with back problems can benefit from a hybrid. Meanwhile, road bikes usually have you at the edge of your saddle, as the saddle is narrow and hard because you are meant to have some of your weight on the handlebars and pedals. As such, it won’t be as comfortable. On a hybrid bike, you’ll be sitting upright with your full weight on your backside. Your legs will do most of the work, so there’s not a lot of power to a ride like this. On a road bike, everything is designed to get you moving faster, so you’ll be leaning forward and have a lot of power in your legs movements. Hybrids are naturally designed to be lighter than mountain bikes, and that’s all there is to it! It’s not uncommon for hybrid bikes to have bigger wheels than mountain bikes, as the former is meant to navigate urban streets easily. In addition, hybrid bike tires are usually designed to be half-rough only, so they can hold their own in wet weather but pedal smoothly in all conditions. Mountain bikes have more traction to grip onto dirt and rock. Hybrid bikes are designed more for light to medium intensities, but they aren’t generally meant for really roughing it. Mountain bike frames, on the other hand, are designed to handle sustained shock well. Hybrid bikes tend to have a lot of gears and a lot of speeds for various situations. Mountain bikes, on the other hand, are meant for slower movements with more precise maneuvers. Once again, hybrid bikes are meant to be lighter than touring ones. Hybrid bikes have half-smooth, half-rough tires for good grip on the ground while also providing breezy rides. Their tires are also wider, with wheels larger in diameter, and they are heavier and unlikely to get flats. Meanwhile, touring bike tires are equally durable as they can travel through rough terrain, and the lighter tires can be an advantage. Hybrid bikes generally have a narrower frame than touring bikes. Most touring bikes also have space for water bottles and other mounts and racks, whereas only some versions of hybrid bikes allow for this. Hybrid bikes, as previously mentioned, have flat handlebars and fixed grips. Touring bikes have dropped ones, like road bikes. Hybrids tend to have a lot of different gears and speeds, as mentioned prior. It’s also very easy to shift between gears. As such, this is designed more for speed and easy maneuvering. Touring bikes, on the other hand, usually have derailleur gears, which are low and work very smoothly even with heavy loads on them, going up a hill. They also have a wide speed range. We hope you liked our beginners guide to hybrid bikes and hope to see you again.